CR—You have visited Colorado before with the Fuchsia Band, and will be in attendance this fall at the Spanish Peaks Celtic Festival. I understand you will be teaching a storytelling workshop there. MdC—That’s right! They’re figuring out how many of my talents they’re going to make use of while I’m there, so I’ll be doing a good bit of storytelling. I was just down at the Catskills Irish Arts week, trying to instruct the people in my class how to be a storyteller. It’s great to be passing on the tradition—at least the bit I know, anyway! I was also just at the Augusta Irish Arts week in West Virginia as well, and after Spanish Peaks I’ll be at the O’Flaherty retreat in Dallas, Texas. Tis everywhere I’m going! CR—Has anyone made you a decent cup of tea lately? Cause God knows, you like a well made cup of tea! MdC—You know, I had a great cup of tea one day in New York! There is sort of a subsection of Queens, on the border of Sunnyside and Woodside. There’s a bar there—mostly bar—at 49th and Stillman and they have Barry’s Tea there! And not only that, they have nice milk—and a kettle!! Donnie will give you a grand boiled egg and a fine cup of tea wherever you’re at there! MdC—I’ve been meaning to do this for a very long time. For any artist, it’s hard to pull the funds together, but I couldn’t hold the dream back any longer. So, someone said, “Why don’t you do Kickstarter?” and I put my faith in the people and they’re coming back strong. It’s going to cost $15,000 to make it. I’m going to take people via the DVD around the places—much like “The Rose Of Coberg Street”. I’ll bring you down to Coberg Street, show you what’s there now—tell you about what was there before… Show you the romantic spots of Cork—and some not so romantic spots! We’ll bring you along the river and show you where Johnny went rowing down to Blackrock, and the fine walkways down on the marina where people fell in love long ago—where the whole courting process went slowly in the days before you found yourself at O’Riordan’s drunk next to your partner for the next couple of years! I’ve got the cameraman and I’ve got Jimmy Crowley and John Spillane signed up to be a part of it and talk about the songs they gave to the album. John’s going to tell us about Prince’s Street, for example. The main thing we want to do with this project is to let everyone know that Cork is the center of the universe!! 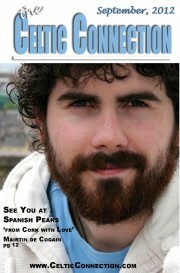 CR—You know, I think that the Spanish Peaks Celtic Festival is the best Celtic music festival in Colorado by a mile. It reminds me a lot of Mairtin Hayes’ “Masters Of Tradition” Festival in Bantry. In an even more beautiful location. So you will find out for yourself at the end of the month, but it’s a wonderful, wonderful festival. Now in your storytelling workshop, do you teach people the basics of telling a story and then have them tell stories? MdC—I try to show people what a story is—we look at urban legends as well as ancient tales from the Ulster Cycle and the Fenian Cycle. Those are some of the things we will focus on in the workshop. I then go into the presentation of it. The “mask” of the storyteller. Then if I’m allowed, I might give them a story and then have them repeat it back and then we’d all critique it. Critique is the hardest part of storytelling and something the modern world isn’t open to, so trying to get that is a big thing. With that, I also give them a few stories to go home with as well. CR—What is it about Cork? It seems many of the most prolific storytellers and songwriters for that matter, seem to come from Cork. What’s that all about? MdC—I dunno—It is a place where people are very positive about each other when they get a chance to get out and do something. We’ve always had great artists… MicroDisney, Rory Gallagher, John Spillane, Ger Wolfe—The Fuchsia Band is joining that band of merry men traveling around the world.. there’s a massive crowd coming out of Cork all the time, you know? I don’t know what it is—we’ve all just had our “party piece” which is part of the tradition. By the way, I think Pat (McCullough) the man of wonder and mystery might have me teaching dancing to the locals at the Spanish Peak Celtic Festival! CR—You’d better get your ghost stories together as well, for the first afternoon of the festival, there is a ceili at a real ghost town called “Up Top” in an old dance hall. There will be dancing and music and it is a mighty start to the festival! MdC—Shall I bring my pan and look for a bit of gold? CR—You might—maybe you’ll make enough to pay for the trip—there’s gold in them thar hills, or so they say. Now, which song would you like us to go out on from “Cork With Love”? MdC—I’d say “Johnny Go Boating”, would be a really romantic one, of days of old, in Cork when there wasn’t as many bridges and people used to have to use the boatmen to go across the river, because Cork is an island itself. It was once known as “The Venice of The West” in the days before we had the 29 bridges we have now over the River Lee. The boatmen used to tie up on Sundays, as there was no real work and people used to rent them for a short while and row down to Blackrock in a very romantic way. It’s a lovely song by Gus McLoughlin about two old lovers trying to rekindle that magic they had when they rode down to Blackrock long ago. Colorado’s newest Celtic Festival continues to honor one of its original goals of featuring only local bands. Now in its third year, the Celtic Harvest Festival Edgewater is offering a place on its stage to one of Colorado’s newest and fastest rising Celtic bands, Delilah’s Revenge. This four piece Boulder-based purveyor of sounds they call “Celtic folk with a punk edge” has only been together since November 2011 and in that short time has won spots on the stages of the Colorado Irish Festival, Dickens Opera House, Cheyenne Depot’s Celtic Musical Arts Festival, People’s Fair, Oktoberfest and won a semi-finalist spot in the Colorado Irish Festival’s Battle of the Bands this spring. In addition, they have opened for the San Diego-based band Lexington Field at Scruffy Murphy’s and were recently nominated as Band of the Month on the Celtic/Folk/Punk Blog. All four came to Colorado from other states; Justin Lancaster, lead guitar, accordion, whistle and back-up vocals and Tom Reed, bass, harmonica and lead vocals are childhood friends from Connecticut who moved to Boulder together several years ago on the basis of an HGTV show that featured dream homes in Boulder with an overview of the city. Karen Lauffer, fiddle, viola and cello is originally from Baltimore and drummer Giuseppe Cortese from Wisconsin. In what is rapidly becoming the vehicle of choice for putting a band together, Karen and Giuseppe responded to a Craig’s List ad and the band was formed. The name came from an idea Justin had for a song about an alternate telling of the story of Samson and Delilah; development of the song didn’t work but the name for the band did. Karen moved to Boulder to pursue a graduate music degree in violin and is the only full-time musician, teaching violin in Arvada when not playing with the band. Giuseppe is a former drummer with a heavy metal band who studied at the University of Minnesota and Harvard and is working on his PhD in neuroscience at the University of Colorado. Justin has a degree in Physics and Tom is a software engineer for a cable television company. All are in their early twenties and in spite of or perhaps because of their diverse backgrounds, there is a musical chemistry that works exceedingly well for them. Justin’s grandmother was born in Ireland, Tom has Welsh blood and the two discovered Irish music in Connecticut. Karen, a classically trained violinist who had played with the York, PA symphony orchestra, was asked to fill in with an Irish band and was hooked. Influenced by the Pogues, Dropkick Murphys and Flogging Molly, the band uses acoustic guitars rather than electric to honor traditional sounds – but with the earlier-referenced punk edge – and a full drum kit. The band plays a grand mixture of cover and original songs with organic arrangements in which all participate. Each has learned more about music than they knew before they began playing together as well as much about themselves, teamwork and communication. For Karen, the music the band makes is liberating and reminds her of her love of music; for Justin, it is a means to making his ideas real and for Tom, it has changed his outlook on life and how he regards music and approaches goals. Celtic Harvest Festival Edgewater is September 15-16 at Citizens Park, Edgewater, CO W/Colcannon, Delallah-Bartsch Duo, Mulligan Stew, Deb & the Pariahs, Delilah’s Revenge, The Indulgers, Beth Gadbaw & Margot Krimmel, Jon Sousa & Adam Agee, The Wicked Shehogues Ren Scots, Flyball Dogs and Irish and Highland dancing, pipers, farmers market, clan tents, food and fun, lots of merchandise from local artists, merchants and vendors. 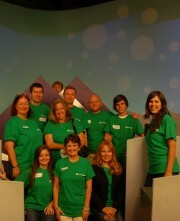 Irish Network Colorado (INCO) kicked off the first community service program at Rocky Mountain PBS on August 19th in Denver. The non-profit, public television station provides free programming to the residents of Colorado encouraging them to discover provocative and inspiring local, national and international programming. Twelve INCO members staffed the phone banks during a donation drive that occurred during a live broadcast featuring a performance from Clannad, an Irish folk rock group. Clannad features new age and Celtic sounds while incorporating other jazz elements to produce a unique sound that has garnered them a large following. The program was a prelude to a Denver concert on October 23rd at the Paramount Theater and will be replayed several times over the next six weeks. In addition to the PBS event in August, members of the Colorado Rapids made a surprise visit to INCO’s Happy Hour on August 8th at Scruffy Murphy’s Irish Pub. President Tim Hinchey, Marketing VP Jeff Johnson and Assistant Coach Paul Caffrey all mingled with INCO members and new-members alike. Caffrey, a Dubliner, chatted with attendees about his football career, his path to Denver and the strategies of the Rapids season going forward. Although he couldn’t reveal extensive details about the season, he did chat about the positives they have seen this season with some young players as well as challenges faced due to injury. Although the season isn’t going as they have hoped, the Rapids coaches and front office were very transparent about the state of the club, where it’s going and how they want to get it there. It was a pleasant surprise to welcome them and INCO members were happy to accommodate such wonderful company. Caoimhin Mac Gill Mhin and Dr. Francis Costello will speak on An Ciste Infheistíochta Gaeilge, the fund set up to help develop Irish language capital projects within the expanding Irish-language sector. The emphasis is on the development needs of the Irish language in Northern Ireland and they will speak on the program, its successes, challenges and goals. What a great topic! 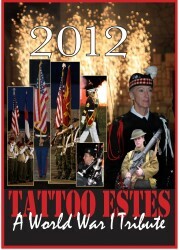 The Longs Peak Scottish Irish Highland Festival’s Tattoo Estes is a unique military parade ground concert. This years program will commemorate our grand fathers who were in WW1and other events between 1910-1920, also there was 400,000 Irishman that fought in that war and as they were veterans of WW1 and we were said to have been the most successful combatants during the revolution This was at the same time Estes Park was being incorporated, Rocky Mountain National Park was dedicated, and The Stanley Hotel and the Fall River Road was being constructed and the Titanic was sunk (a special segment in this years Tattoo Estes remembers the Irish lost in this tragedy). The 1st Marine Division Band and the 4th Infantry Army Bands will perform with the US Air Force Honor Guard Drill Team, The Halifax WW1 re enactors and the Texas Camel Corps is Lawrence of Arabia. The Scottish Power and The Lothian and Borders Police Pipe Bands will be joined by The Ft. Collins & The Centennial State Pipe Bands and the World Championship Irish Dancers from Colorado Springs. hundreds when the British Armies were deployed in Belgium and France. On quiet days the soldiers would leave camp and go into the villages and of course gather at the bars. At a designated time the commanding officer would send an NCO with a piper or a drummer, order the men out of the bars, and demand that the bar keepers shut off the beer taps (tap too). The soldiers were marched back to camp then ordered to perform a military drill for the commanding officer. Over time this event has become TATTOO. September 6,7,8 at the Stanley Park Fairgrounds in Estes Park, Colorado. Kevin McNicholas, President and CEO of Denver based KM Concessions /Service Systems Associates, Inc (KMSSA) is being awarded the AZA (Association of Zoos) and Aquariums Wendy Fisher Award for Professional Excellence on Sept. 12, 2012 in Phoenix . This prestigious award has only been given out twice before and is the highest honor award for professional excellence in his field as a concessionaire. 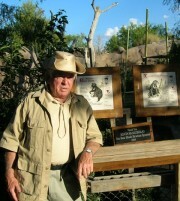 He was nominated by Barbara Baker of the Pittsburg Zoo and endorsed by all the other zoo directors. KMSSA is in 36 venues (zoos, aquariums, museums, stock show, etc) around the country. Kevin and KMSSA give a high percentage of their sales to venues and give extra help through professional operations; doing heavy investments in equipment, remodeling, and food for their fundraisers.
. In 2004, the Association of Zoos and Aquariums established the Wendy Fisher Award for Professional Excellence to honor those Association of Zoos and Aquariums Commercial Members who have demonstrated outstanding character, leadership, professional excellence and distinguished service to AZA and fellow Commercial Members. The award is named for its first recipient, Wendy Fisher. Only one recipient can be honored in any given year, and since the award criteria are lofty, it is anticipated that the award will not be given every year. Among the qualifications include impeccable character and a distinguished record of honorable service to AZA throughout his or her career; he or she must be strongly committed to education, conservation, science, recreation, and the welfare of animals. which will have its kick off on October 26th at the new History Colorado Center,” said Mary, “ The focus of the foundation is on the education needs of young people in offering them scholarships and preparing them to enter the workforce with character, ethics and leadership skills.” Sean McNicholas and Time Brantley are vice presidents of KMSSA and they are heading up this new foundation. Ruth Chaikin, who has played recorder, mandolin and penny whistle with Kindred Spirits, Orion’s Bow and the Molly Magpies and is a regular fixture at the Sunday afternoon music sessions at the Irish Snug and elsewhere, had surgery for pancreatic cancer on September 10th. A procedure that should have taken 6 hours wound up taking 12 hours and resulted in her being placed into a medically induced coma and intensive care. She is now out of the coma and remains in the intensive care unit at St. Joseph’s Hospital. 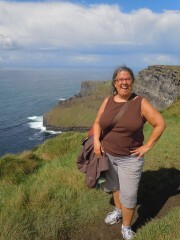 Cheryl Ward and some of Ruth’s friends and local Celtic musicians are organizing a silent auction to raise funds to help her expenses. Eron Johnson will host a Halloween Party (costumes encouraged!) in his architectural antiques warehouse at 389 S. Lipan St. in Denver at 7 PM on Saturday October 27 where the silent auction will be held along with a BYOB pot luck and session. There are many ways you can help: Donate for the silent auctions, i.e. hand-made art work, services, gift certificates, time in a ski-condo, music lessons, anything that you can think of to donate that has value; Attend the party/auction and bid on items; Donate directly with check/cash.